Breathable clothes, breathable storage bags, breathable concrete sealer so why not breathable wine glasses. The applied technology of “breathability” created by an oxygenizing treatment after manufacturing is being used by Eisch, a glass manufacturer located in the Bavarian Forest, just outside of Munich, Germany to accelerate the aeration of the wine. According to Eisch, a wine poured into a breathable glass increases “the rate of aeration preserving the character and structure of the wine”. According to wine expert Michael Franz that means that the aroma and taste of the wine is expanded making our oenophilic experience more intense and enjoyable. I’m all for that especially since the glasses are dishwasher safe! Eisch also makes a breathable espresso glass cup and saucer with the belief that the complexity and fullness of aromas in coffee beans are equal to grapes. I found a set of 6-24 oz. 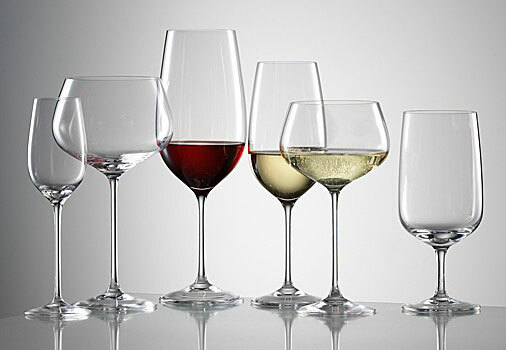 Eisch Breathable Burgundy wine glasses on Amazon for $169.95 which left me a little breathless. But with the promise that a wine poured into a breathable glass for just 2 to 4 minutes will show signs of aeration equivalent to the same wine that has been decanted and aerated for 1 to 2 hours, I’ll keep searching for a sale to try these. The government’s recent ban on artery clogging trans fats reminded me of a true-life story about two local bakers from Altamura in Bari, Italy who in 2007 decided that they had enough of franchised fast food often prepared with little regard for the quality of the ingredients. They believed that a focaccia roll could be prepared just as well as a commercial hamburger bun with wholesome ingredients and artisan care. So when the largest fast food franchise in the world opened a huge restaurant in their neighborhood they decided to prove a point. Proud of their own region’s food and traditions, they opened a bakery down the street from the fast food giant and began to make a thick cut focaccia, kneaded and baked by hand and filled with local produce typical of the region; salumi, cheeses, sausages and fresh vegetables. Like the Biblical David they single-handedly put the fast food restaurant out of business. The townspeople preferred the focaccia to the commercially prepared hamburger. News stories, a documentary and a film (Focaccia Blues) about the Altamurian bakers whose “focaccia ate the hamburger” followed and a city famously known for its bread and buns becomes a champion for the traditions of regional diversity and a food culture that is a way of life in Italy. 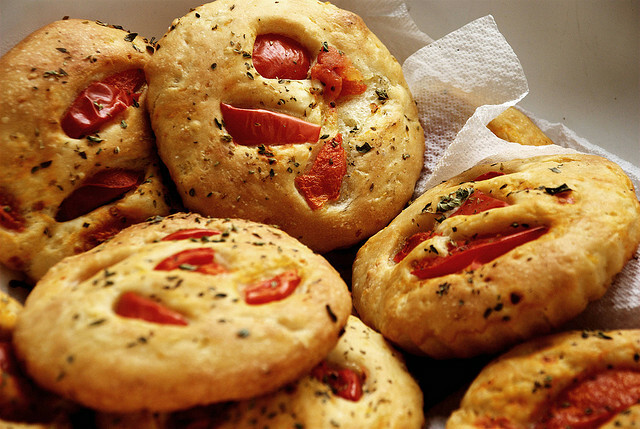 Here is my favorite video on how to make focaccia. What does it take to make a good espresso? According to various sources in the know it depends on the 4 M’s and it takes just one discordant stroke to disrupt the perfect harmony found in a good cup of espresso. M # 1 Macchina, the espresso machine. A stable pressure and exact temperature are needed for the best possible extraction. M # 2 Macinazione, the proper, uniform grinding of the beans. The size of the particle affects the brewing and extraction process. I leaned early on to invest in a good grinder . According to Ernesto Illy, president of Illycaffe’, the espresso grind should feel like fine sand, smooth to the touch. Slightly finer than granulated sugar. M# 3 Miscela, the proper blend or mix. Classic Italian blends like Illy or Lavazza are crafted to deliver a chocolate or caramel flavored espresso with soft nutty tones. Colored chocolate to a darker chocolate color blends produce an full-bodied espresso with some sweetness that is not overly bitter. 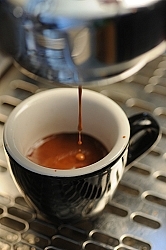 Lighter roasts can be suitable for espresso if done properly. Consider what you like. Remember that the quality of water can influence the flavors of the blend so be sure to use fresh filtered water when brewing. M# 4 Mano, the skilled hand of the barista. Practice and passion, an understanding of the art and science behind the making of espresso are needed because even with the finest beans and the most advanced equipment, the shot depends on the touch and style of the maker. Italians are known for their unique sense of style and design. Whether in art, architecture, cars, fashion, furniture or food an Italian made product is sure to turn heads. Of particular interest to our coffee fueled literary baristas are the many artistic interpretations and technological designs of the Italian espresso machine. From the stove top mocha pot to the super automatic uber machines that leave our baristas breathless, brewing “un caffe” in Italy is an art and a science that has inspired some of Italy’s most iconic designs. This week we’ve added a machine to our Haute Espresso Pinterest Board that is deceptively simple (be prepared for a 3 to 30 day learning curve) yet whose design and promise for a truly great cup of home-brewed espresso are exceptional – La Pavoni Europiccola also known as the Chrome Peacock. Slightly temperamental (do not expect to press a single button to brew a cup) this highly polished triple-plated chrome machine does produce a beautiful cup of coffee. 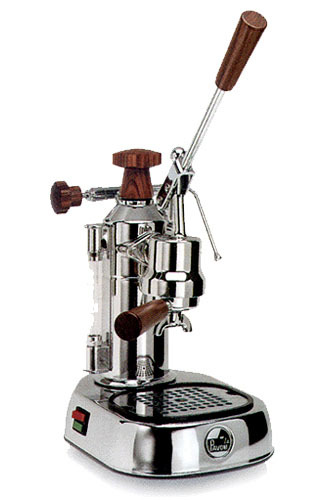 It may take some time to discover all the nuances of the classic lever-style grind, tap, brew method but once you do the Chrome Peacock produces a smooth, rich hand-crafted espresso. I’m a teacher and I love Italy so over the years I have naturally been drawn to the theory and philosophy of Maria Montessori. Maria Montessori believed that education is a natural process acquired by experiences within a prepared environment where the task of the teacher is a motivator to encourage the unique potential within each child. Born in 1870, Maria Montessori was the first woman in Italy to receive a medical degree. While teaching at the University of Rome and observing the many poor and working-class children who attended the free clinics she developed an interest in the treatment of special needs children and how they learn. Her background and experience in psychiatry, education, anthropology and engineering (she spent 7 years in the field before starting medical school) inspired an educational revolution that changed the way we think about teaching and learning. 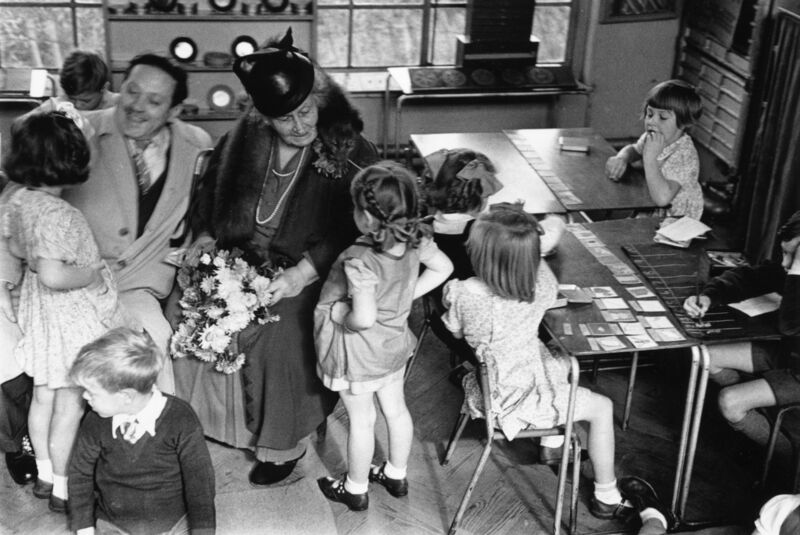 She developed nidos (“nests”), infant communities and casa dei bambini “children’s houses” (for ages 3-6) as models for early childhood education. My mother-in-law, Marian, was a former Montessori teacher and she and I would often have thoughtful conversations about early childhood education so when my son was born she and I began our own internal Montessori experiment (his name is Eric). At that time (early 70’s) not many parents, communities or teachers knew about Montessori techniques so Marian and I would often create our own teaching aids and learning environment (complete with homemade toys). Educational Toys Maria Montessori Would Love which create visual hands on experiences and inspire success and a deeper curiosity for learning.